INDIA. Mumbai. 2006. Overview of a small section of Dharavi, towards to southwestern corner of the slum. 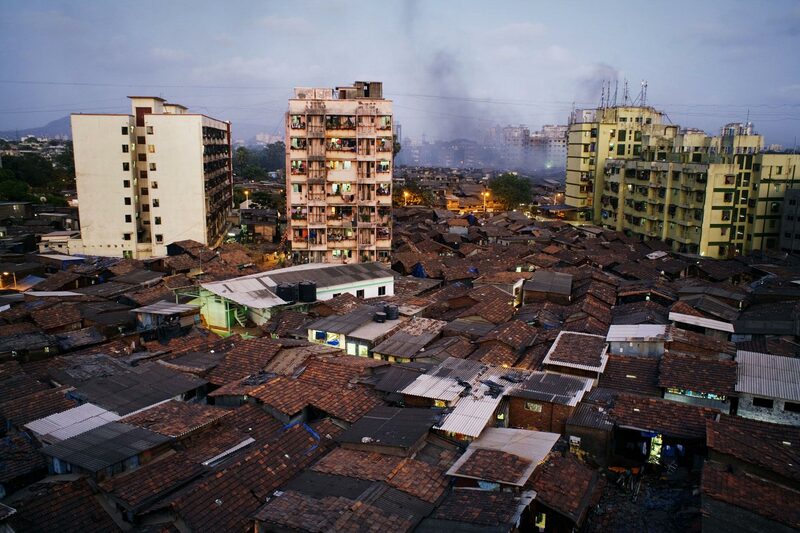 Dharavi is one of Mumbai's biggest and longest standing slums. Home to somewhere between 600 000 and one million people, it is a beehive of recycling and manufacturing industries. However, Dharavi sits on prime real estate right in the heart of the booming megapolis, and is in close vicinity to the new Bandra-Kurla Complex, a new financial hub. Dharavi is now scheduled for redevelopment, meaning everything in the slum, for good and bad, is set to be demolished.